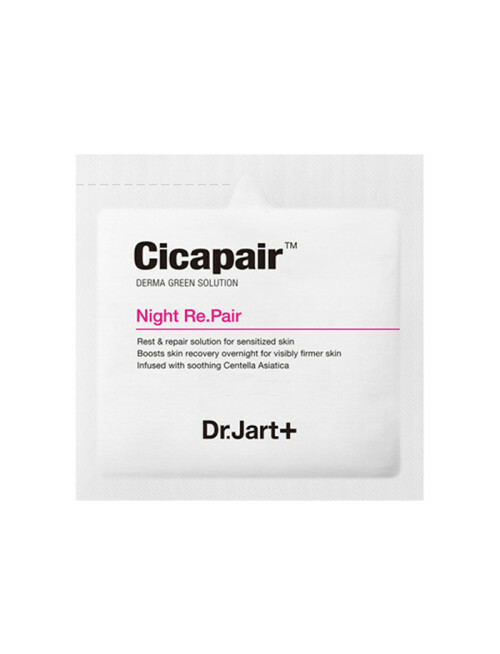 A skin-repairing overnight gel treatment for sensitive, irritated, or inflamed skin. 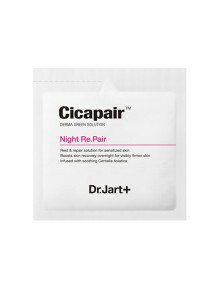 Give your skin an intensely reparative boost while you sleep with this gel-formula overnight pack from Dr. Jart. Like the entire Cicapair™ Collection, it’s infused with soothing Centella Asiatica, or tiger grass, an active ingredient used for generations to restore and support damaged skin and inflammation. 1) Layer a liberal amount over the entire face as the final step in your nightly skincare routine and leave it on while you sleep. In 2001, a young dermatologist named Dr. Sung Jae Jung was running his own clinic in Seoul, constantly creating and testing new creams that would, he hoped, provide safe and effective relief to his patients with serious skin issues. JinWook Lee, a young entrepreneur and close friend of Dr. Jung, was impressed by his expertise, and wanted to bring his new formulas to a broader audience. Three years later, the two men launched a skincare company, Dr. Jart+, its name a nod both to its founder and to the art of skincare. Starting with their heroic BB (beauty balm) creams, Dr. Jart+ quickly developed a sterling reputation among Asian skincare circles. Now we're lucky to enjoy them outside their country of origin.